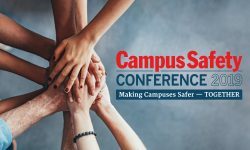 Campus Safety Texas will be held June 24-26 at the Omni Mandalay in Irving, Texas; Campus Safety East will be held July 18-20 at the Hyatt Regency Dulles in Herdon, Va.; and Campus Safety West will be July 30-Aug. 1 at the Hilton in Pasadena, Calif.
Campus Safety magazine is pleased to announce that it will host its 5th Annual Campus Safety Conferences this summer in Texas, Virginia and California. Campus Safety Texas will be held June 24-26 at the Omni Mandalay in Irving, Texas; Campus Safety East will be held July 18-20 at the Hyatt Regency Dulles in Herdon, Va.; and Campus Safety West will be July 30-Aug. 1 at the Hilton in Pasadena, Calif. The Campus Safety Conferences are the premier security and safety events for public safety officials, security and law enforcement executives, administrators, IT managers and risk managers from all over the world looking for solutions to their protection and technology challenges. The programs offer one-of-a-kind training, interactive learning and networking opportunities where attendees will learn from industry experts, share ideas, hear experiences and build relationships with fellow administrators and security professionals. Attendees will also have the opportunity to obtain information on the latest public safety, security and emergency management products and services. The conferences provide a unique opportunity for attendees to learn and engage with other professionals while remaining current and proactive in the overall management of emergency preparedness. 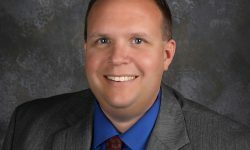 “What you do really matters, and by attending the campus safety conferences, you will receive the latest training and education from experts and peers who are passionate about sharing the most effective tools, resources and experiences so you can be the best you can be at protecting your students, your community, and your campus environment” says Amy Reddington, event director for the Campus Safety Conferences. These events will be presented in partnership with Higher Education Sponsors University of North Texas at Dallas (UNT), Northern Virginia Community College (NOVA) and University of Southern California (USC). 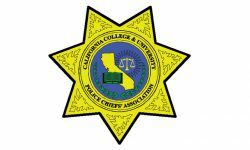 To register, visit CampusSafetyConference.com or contact CSC’s event staff at (855) 351-0927 or Events@CampusSafetyMagazine.com. For information on sponsoring, contact CS Publisher Steve Nesbitt at (774) 256-1101 or SNesbitt@EHPub.com.